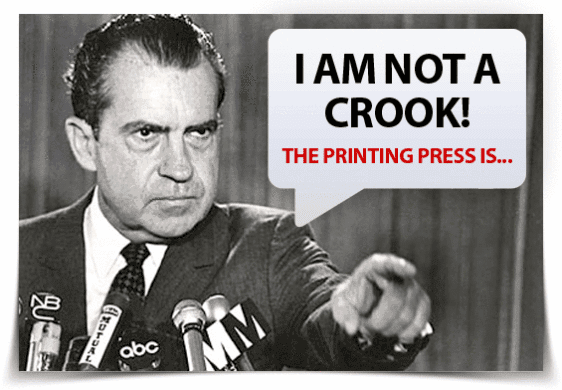 It has been nearly 47 years since President Nixon went on television in August of 1971 to tell the nation and the world that he was 'temporarily' removing the global reserve currency from the gold standard. And while the original Bretton Woods agreement of 1944 had long been modified over the decades of its existence to the point where its being backed by gold was mostly a facade, the lies Nixon propagated on that day are bringing the U.S. financial system near the brink. Invariably the first question most will ask after reading the previous paragraph is what lies exactly did President Nixon tell? Well when you look at all three 'reasons' he used to justify taking America's, and subsequently the world's currencies off the gold standard, you will find that all three were based on fallacies, and where all one has to do is look at the consequences Americans live with today from this event. It is fascinating to note that whenever the U.S. government does something to harm its own financial or monetary system, one of the first things they attempt to do is 'blame the speculators'. Bretton Woods gave the United States extraordinary power over the global financial system, as the dollar was to be the single reserve currency used by every nation for trade and commerce. But when Presidents during the 1960's and 70's wanted to conduct their own policies of fiscal irresponsibility (Welfare State and Vietnam War) that required debt creation far above what the current stockpiles of gold backing the dollar would allow, the inflation they caused for foreign countries tied to the dollar induced these nations to reject the U.S. currency and demand compensation in the form of gold rather than in dollars. So who were the speculators Nixon was referring to? No one. It was a lie to mask what he and Lyndon Johnson had created when they threw out balancing the budget in order to be able to create debt for their programs. 2. Suspend temporarily, the convertibility of the dollar into gold. This one is pretty obvious. In the 47 years since the gold window was 'suspended', not a single ounce of gold has been used to both back the dollar, or compensate nations using our currency. 3. Your dollar will be worth just much tomorrow as it is today. When the Federal Reserve was created back in 1913, the purchasing power or 'worth' of the dollar began to erode almost immediately. 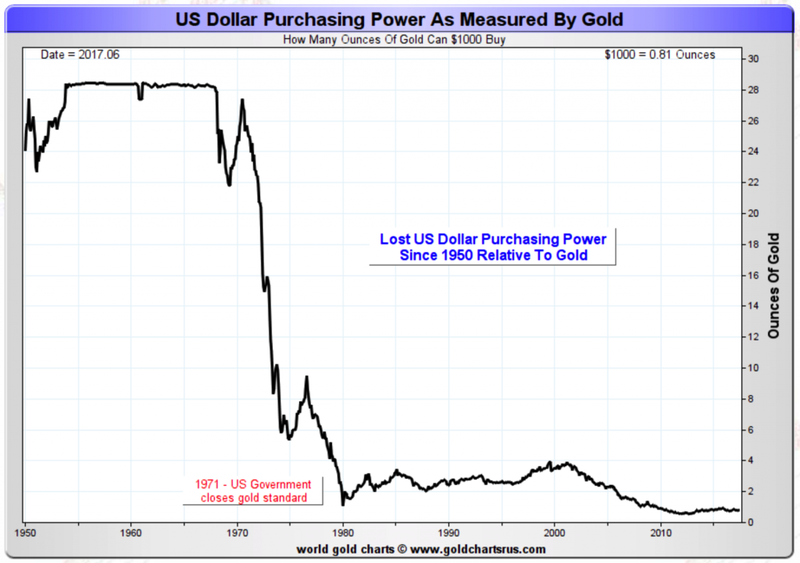 However this decline accelerated beginning in 1971 the moment gold no longer backed America's money. 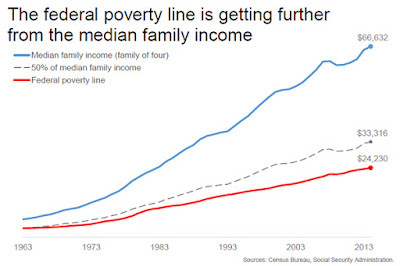 And all one has to do is look at where the Poverty Line was in 1970 compared to the dollar amount poverty is considered at today. 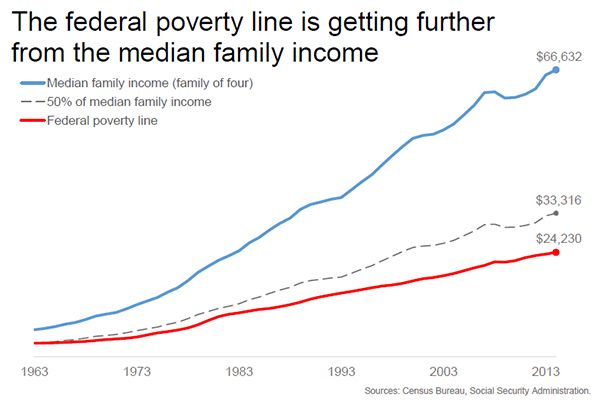 1970: Poverty line was approximately $2500 per year annual income per family. 2013: Poverty line is $24,230 per year annual income per family. 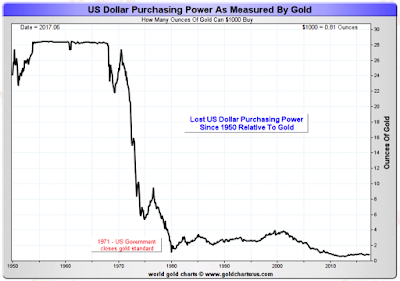 In the end the dollar has lost over 96% of its purchasing power since the battle to remove gold from backing it began back in 1913. And despite everything that President Trump may try to do to 'Make America Great Again', no solution will work unless he ends Nixon's suspension of the dollar no longer being backed by gold, and the rest of the world follows suit in re-instituting a gold standard.